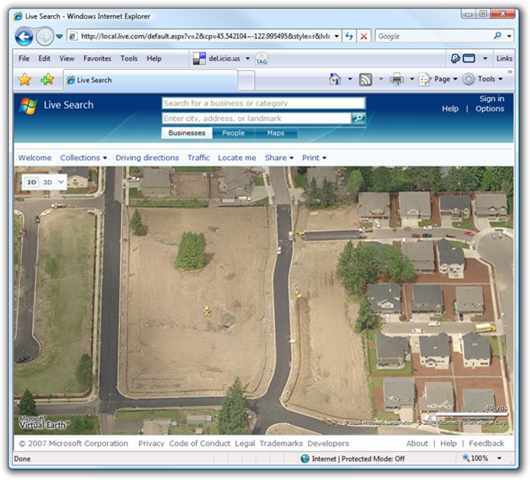 A while back I posted on How To: Use Google Earth or Virtual Earth to Visualize a New House Lot - Part 1. We took a PDF that the builder gave us of a house lot, made it transparent, sized it and overlaid it on the empty lot we found on Google Earth and then even better Helicopter Flyover imagery we found on Virtual Earth. 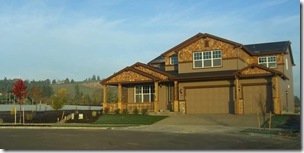 The next step, of course, was to work with the builder and design the house. 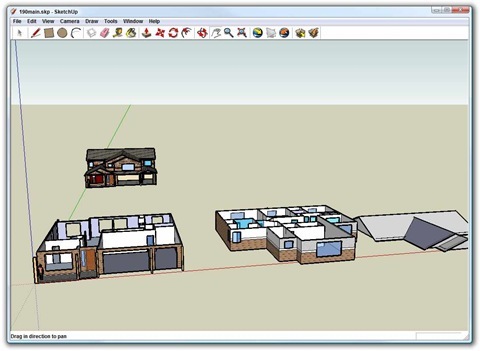 Ordinarily one works with an architect, and we had one, but we also took the basic 2D PDF plans and used them as an overlay in Google SketchIt Up and "traced them" in 3D. I taught our Real Estate Agent how to use SketchItUp in a few sessions and he went nuts - in the very best way. Turns out he has a knack for these things and we work well together. 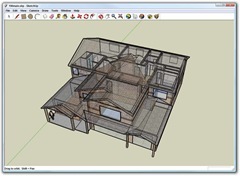 First, he modeled the house, floor by floor as seen below, including the roof. Then he assembled the house by snapping the floors together. Here's cut-out view with the house cut in half diorama style next to the house in X-ray style. 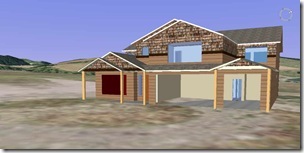 Next, I textured the house with our paint colors, cedar shake and exterior choices, etc. Fast forward and now the house is finished. It finished this week actually and we're moving in slowly over the next month. Just to prove that this was a useful exercise, here's the virtual house exported and placed in Google Earth on the actual lot, next to a picture of the real house in the same orientation, Notice the big hill behind us in both the Google Earth and in Reality. The circular shape on the ground in the Google Earth shot became our cul-de-sac. This wasn't very hard to do, and just required in total about two days of amateur 3D modeling by the agent (who was having a blast) along with two hours of modeling by me and two hours of texture mapping and placement by me. This helped Mo and I visualize what our big empty lot would look like, what our paints, floors and carpets would look like. I'm sure if we knew what we were doing as far as 3D is concerned it'd be even better. We didn't even scratch the surface with the potential textures, furniture, etc that we could have done. Google SketchUp (for Part 2). 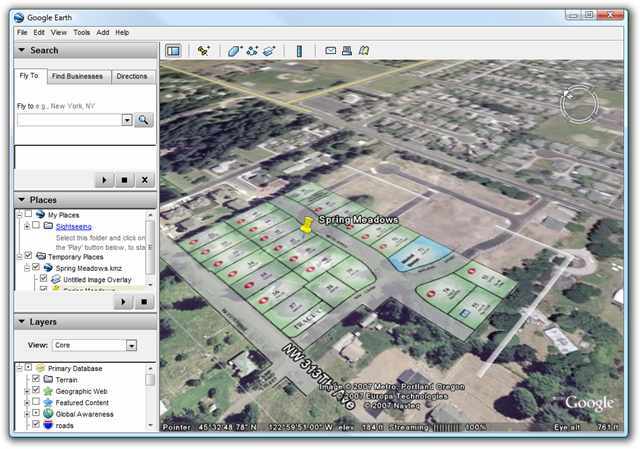 Follow it's tutorials, use it's forums and understand its relationship with Google Earth. Nice house Scott. When I eventually get to building a house, I'll give this a try. 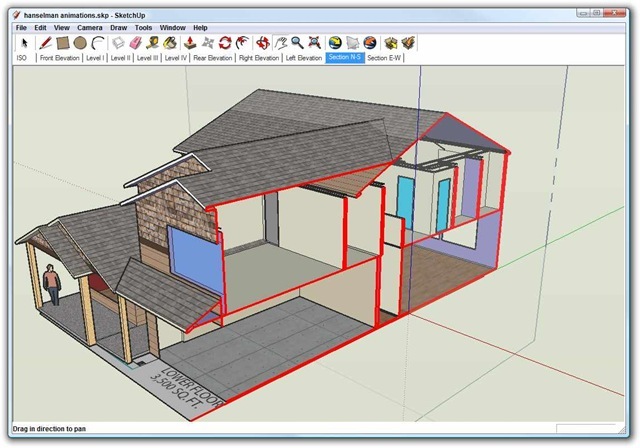 Nice work Scott, but it's called SketchUp, not SketchIt Up, or SketchitUp. Jeez, you sound like my mom. Can I rent a room in your basement? That's a great model. I've tried sketching my own house but to get to the level but given my skills I think it would take me months. We recently did a remodel and added a room and I would have loved to have had a model to play with like this. Any chance you can have your agent provide some tips on techniques he used to create the model? Anyway, great series on your home, very interesting reading. Very, very nice. The actual house looks even better than I imagined based on your sketchup. Great job...and please post more on your home network! 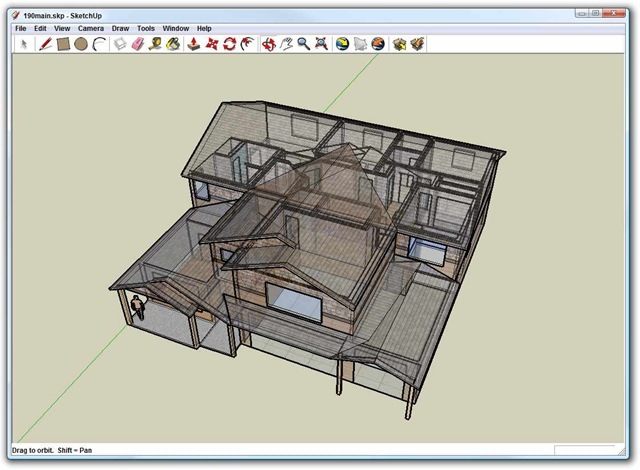 I love SketchUp for things like this. I've used it to layout furniture in an apartment before I had either the apartment or the furniture. I grabbed the floorplan image from the apartment complex's web site, added it and scaled it properly in SketchUp, built the walls up from that, then added cabinets, furniture, rugs, etc.. It took some time to build the model but not anywhere close to the time it would've taken to move the furniture around and try the different configurations in real life. Not to mention being able to figure out that a particular couch might fit a room dimensionally but is just too big aesthetically to fit right without ever having to actually buy the couch. The walkthrough feature is particular good for this sort of thing. It really lets you see if some particular set of furniture, decorations, color selection, etc. for a room is going to be too crowded. Hey, Scott. 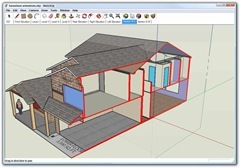 I was wondering if you were aware of any kind of relationship between SketchUp and Expression Blend/XAML? 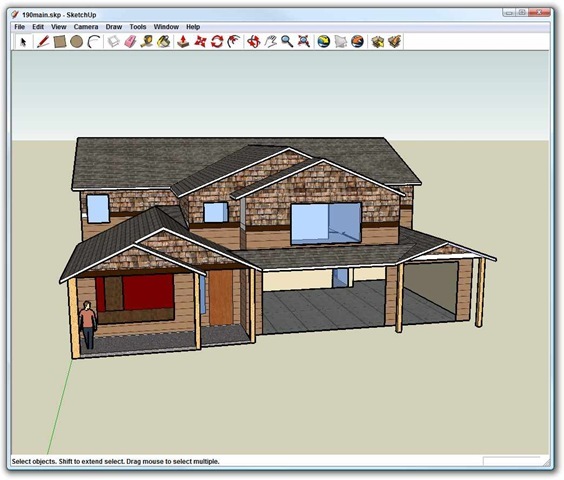 I find SketchUp much easier to use over Blend--it would be nice if there were a way that I could craft 3D images in SketchUp and then import them into XAML. Thanks.